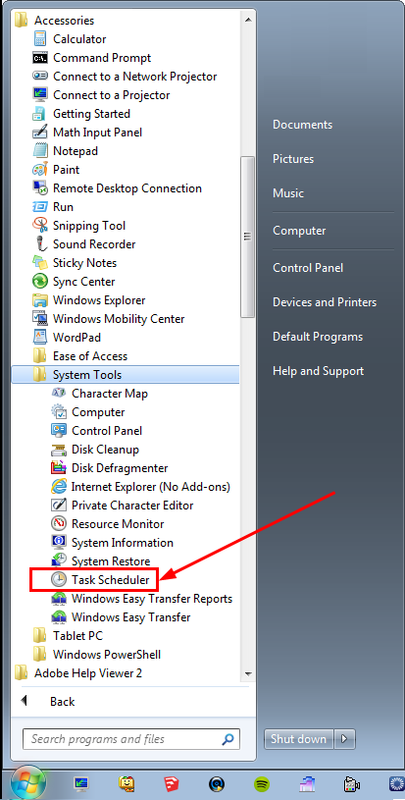 If you are having trouble getting the Windows Task Scheduler to work after reading this please see the FAQ at the bottom of this page. Softinterface conversion products come with a built in scheduler that handles the majority of customer demands. However, there may be cases when you need more power or flexibility. 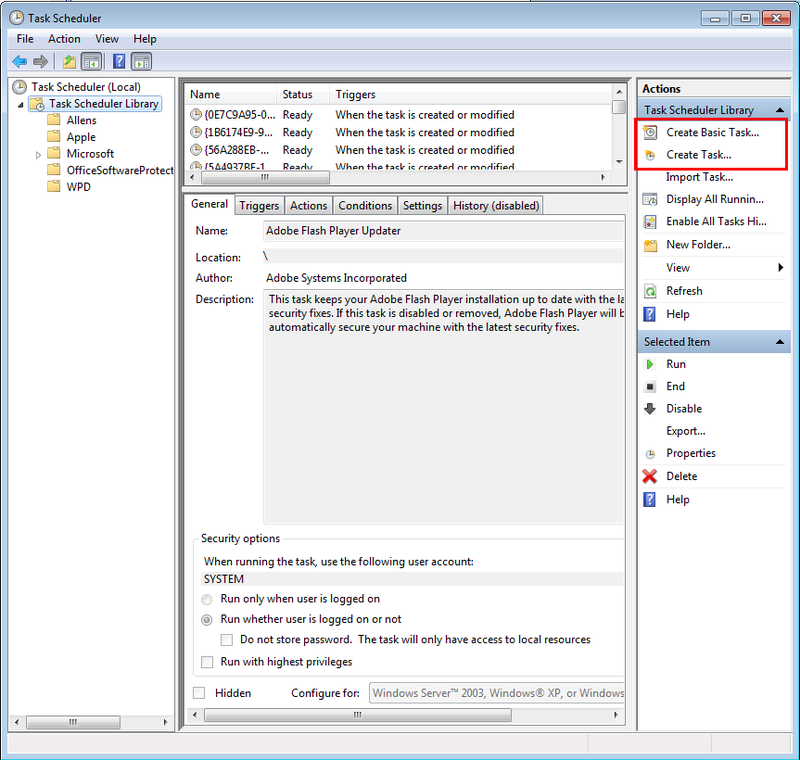 The Windows built in Task Scheduler is ideal for those cases, as it can handle any number of conversion jobs, and sequencing demands you may have. Windows 7 is shown below, however other operating systems will be very similar. 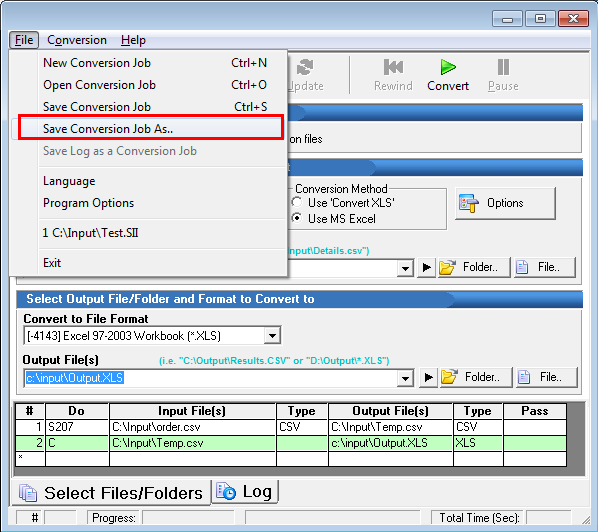 The simplest way to do this is to set up in the program's user interface to do exactly what you want it to do, and then create a 'Conversion Job' file (*.sii) by going to the File\Save Conversion Job menu item. 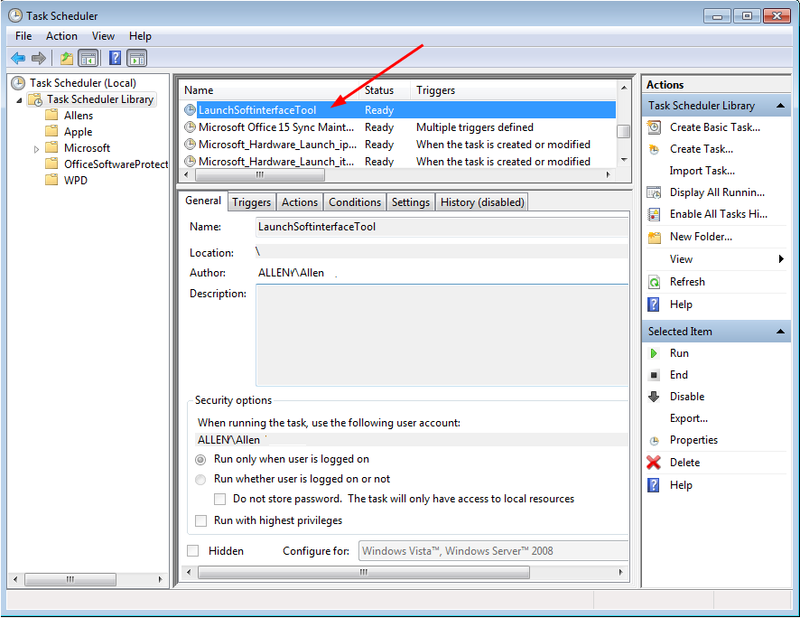 Once saved, you can then specify this file as part of the command line arguments within the Windows Task Scheduler. Once launched you can Create Basic Task which takes you through a step by step wizard, or Create Task which provides much more power and flexibility. Give your task a name, in our case above we named it LaunchSoftinterfaceTool. Now change to the Triggers tab. This is where you specify when to launch the application. Finally select the Actions tab. 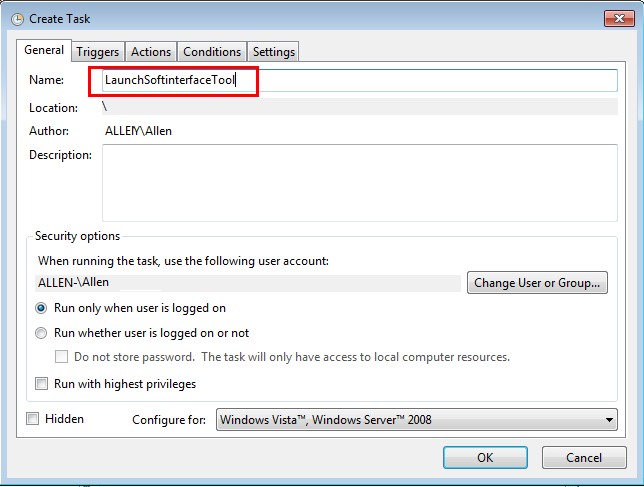 Here you specify what to do, in our case we'll tell it to launch a Softinterface application. 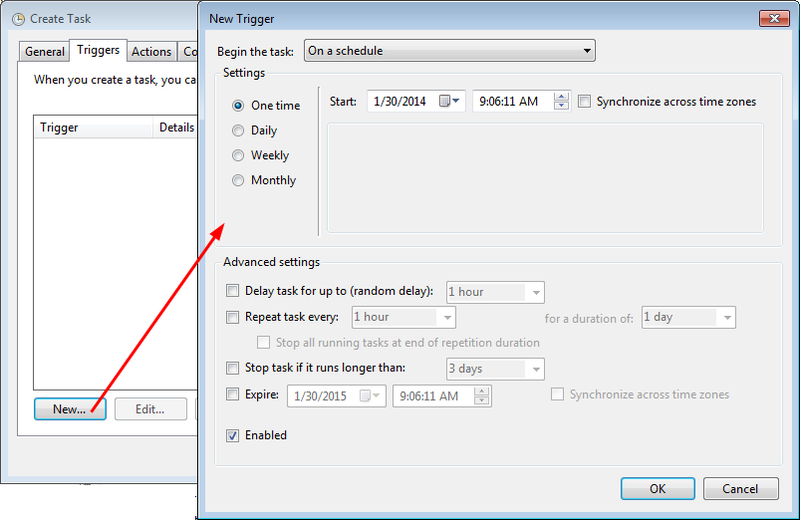 Q: The task is running when I do it manually but not from the Task Scheduler? 1. Using files on a network? Make sure you are only using UNC (Uniform Naming Convention) paths. Mapped drives will not work when using Windows Scheduler. 3. 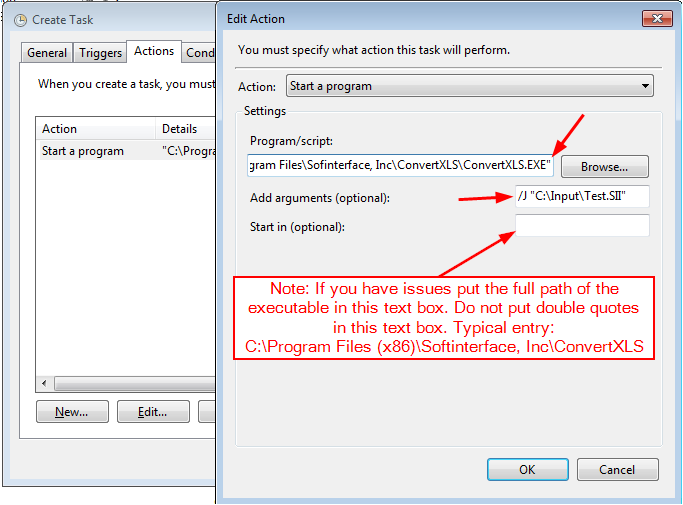 Try setting the Start in (optional) to the same path as the executable. 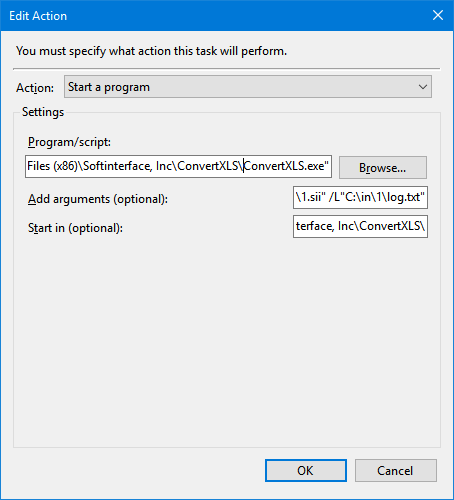 Note the use of double quotes is not used for that option, but is for the Program/script option. As shown below.